Celebrate fall and harvest time with the wineries of the Susquehanna Heartland Wine Trail! Their Nouveau Weekend Event, Nov. 8/9 and Nov. 15/16, is your chance to try newly-released and newly-made or “noveau wines” which are fruity and flavorful and meant to be consumed in celebration of the season. There will also be plenty of your current favorites to taste as well. The event is free to attend at any of the 13 Susquehanna Heartland Wine Trail members. This year some wineries will be offering a coupon for 10% off your wine purchases. The coupon will cost $10 and can be used at the 9 wineries listed on the back of the coupon. Free Susquehanna Heartland Wine Trail t-shirts will be available to coupon purchasers while supplies last. While there, be sure to pick up some wine for the holidays. 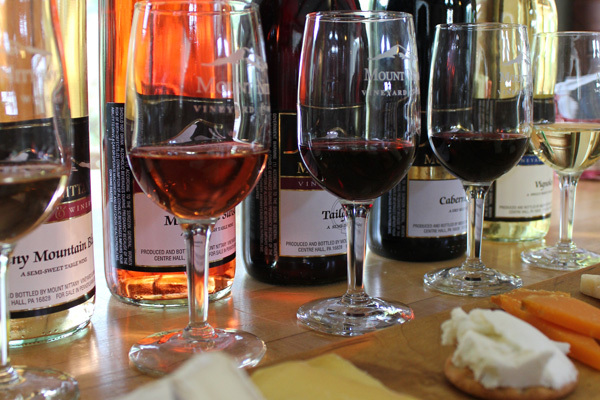 You will also be able to purchase tickets for our month-long wine trail event in March 2015. The March event tickets cost $20 and make good Christmas presents too! So many reasons to get back on the trail – visit our map of the wine trail (http://www.pawinetrail.com/mapofwinetrail.html) to begin planning your trip!